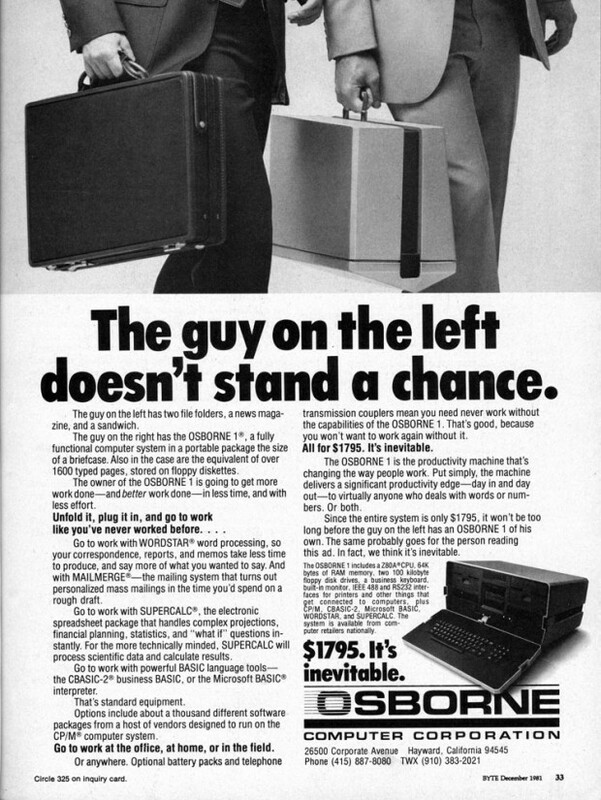 I used to love the adverts in Byte and PCW for the Osborne 1. The fact that they released it on April 1st, 1981 makes me like the company. 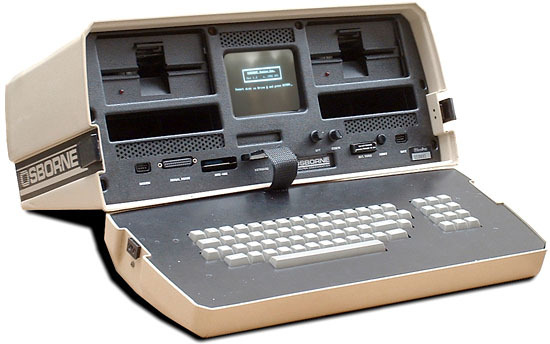 5″ CRT display and CPM, combined with single sided floppy drives meant portability had its price. Still – at one time, Osborne was shipping 10,000 of these a month! The Osborne 1 was developed by Adam Osborne and designed by Lee Felsenstein. The other issue that killed Osborne as a company was the rise of the IBM PC and their clones. In the end, buying a CPM based portable made no sense. 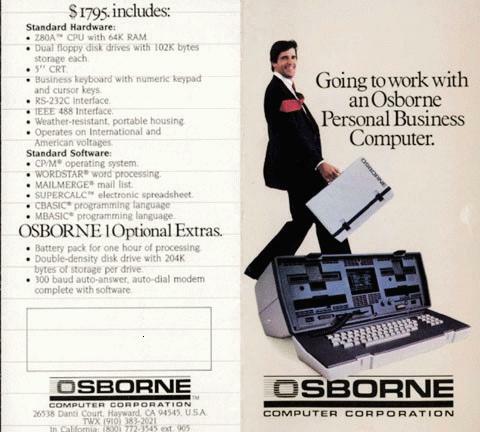 Osborne computer filed for bankruptcy on September 13th, 1983. The guy on the left doesn’t stand a chance.